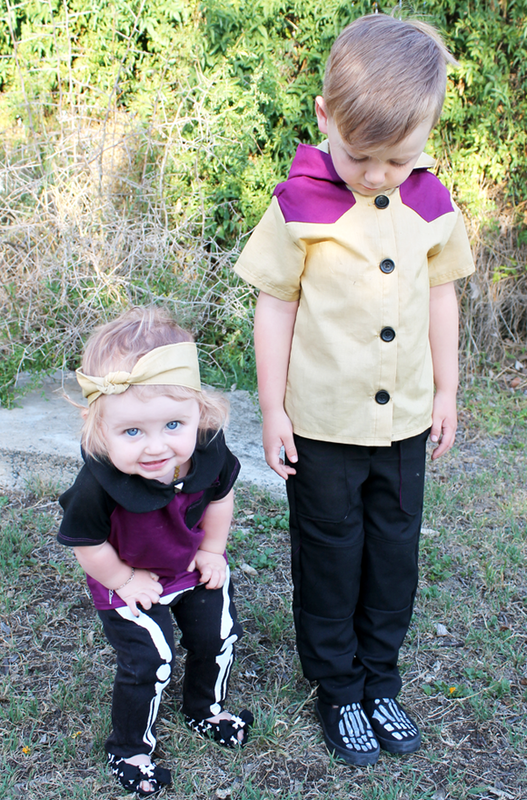 When sewing co-ordinating outfits for siblings, there is one thing that is not my thing and that is super matchy matchy. If I ever make Vincent and Edison matching outfits it will probably only be as a Phil and Lil costume, or Thing 1 and Thing 2, or something ironic. Even sewing stuff for Eddie and her friends and cousins, I've always tried to keep things co-ordinating but not identical. (yes I know this is coming off the back of the Rockabilly Bubble Tops I made Eddie & Mega). It's just not my jam. If it's yours and you think it's adorable, then that's awesome because that is you! However when I want my children to look like they're a set, I don't make them identical. This is probably because I have a boy and a girl and they are three years apart! 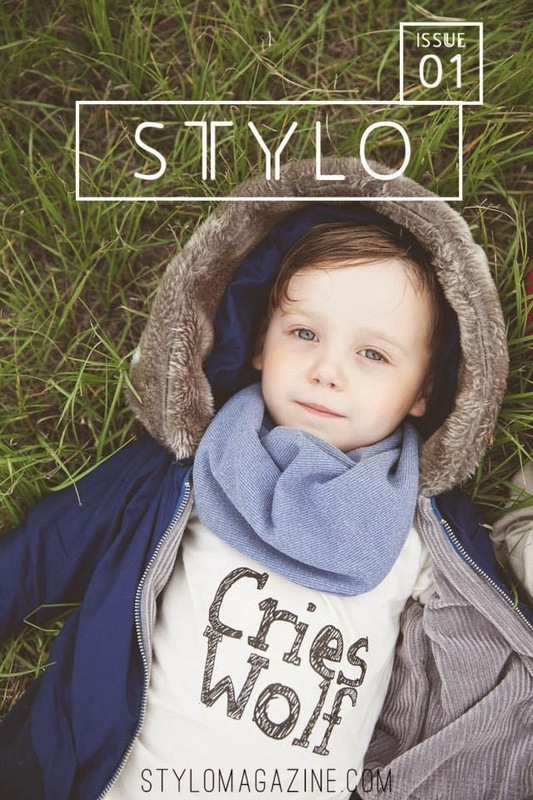 If you haven't seen around the blogosphere already, the ladies behind the collective Pattern Anthology have just released their third collection! Since it's heading into Winter in their hemisphere, the collection is called Winter Wonderland. 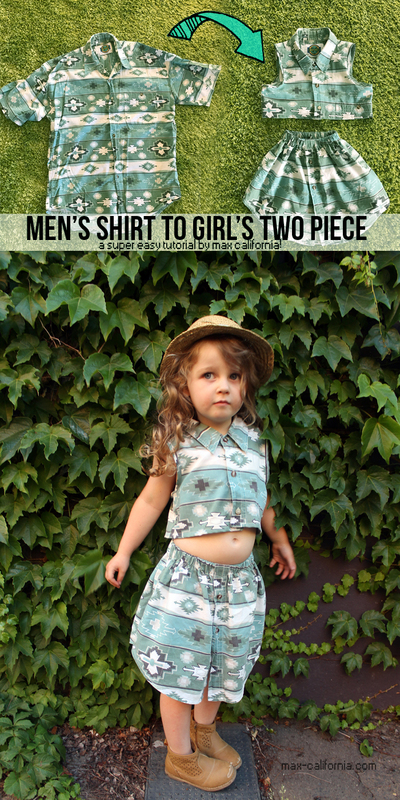 Fortunately for us Southern Hemi's, the patterns have plenty of wiggle room to transform them into some Summer duds for the kids! 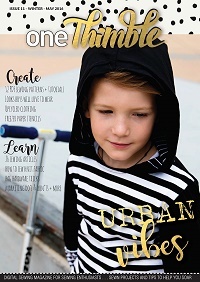 The patterns I used are the Sweet Bonnie Top, the Johnny B Good Hoodie (or as I like to call it, the Johnny B Goodie) and the Tree Climber Trousers (the TCT's!). Want to see what I did with them? Colours are probably my go-to for figuring out a sibling look that isn't identical. I went with solid colours for this look, however usually I have some awesome prints as the common theme pulling the outfits together. It wasn't hard coming up with this combination. I have just unpacked all my fabrics into my brand new sewing room and the plum, mustard and black were all folded up neatly on top of each other. They are all similar weights (the plum and mustard are broadcloth), and not as tightly woven as ordinary cottons. I'm not sure what fabric the black is, it was an op-shop score! Find fabrics that go well together, whether they are similar hues, warmths or textures. Don't be afraid to take a leap of faith and try and mix things that at first might not seem to go together. That leap of faith is usually the turning point in creating something that is "great" into something that is "AWESOME!" I decided that the black could be the base colour, and with the kids both wearing black but not identical pants, they would go together. 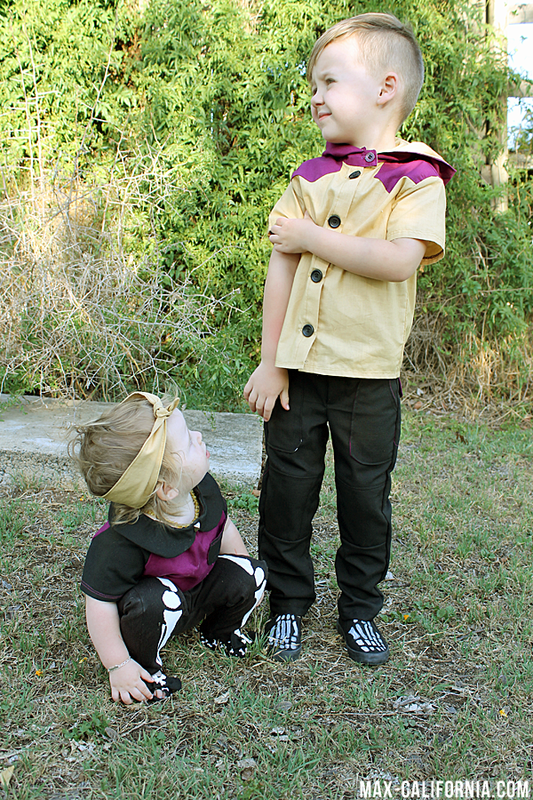 Edison's is a self-drafted pattern with skeleton bones stencilled on to the fronts, and Vincent's are the Tree Climber Trousers (I rolled them up in a few of the photos to make them ankle skimmers). They are designed by Andrea of Go To Patterns. 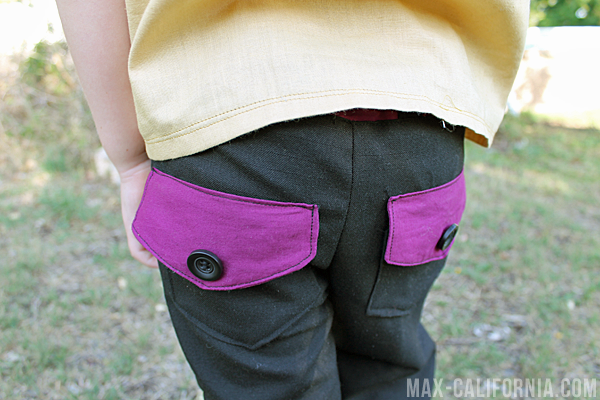 The TCT's feature front patch pockets, reinforced knees for adventure and have two waistband options. I was going to make them all contrast knee panels, but I thought with the shirt it would be too much contrasting, so I saved the surprise for Vincent's back pockets. 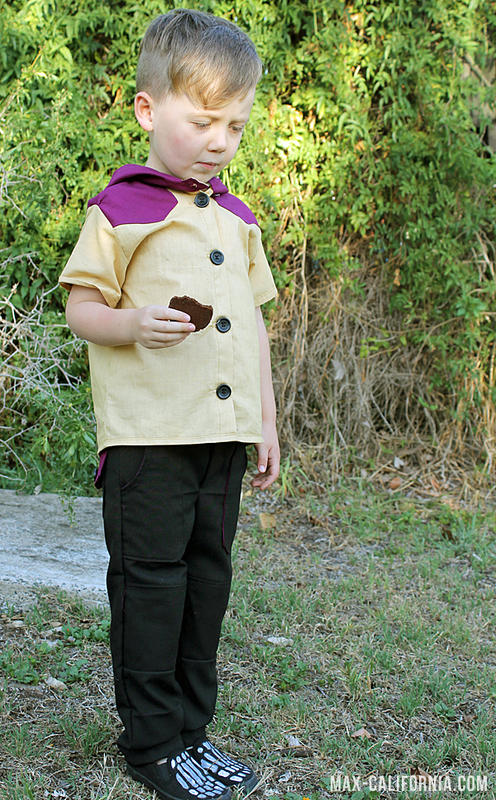 I used the plum broadcloth for the pocket flaps and the waistband. Sewing these up was much easier than I anticipated, they were the last piece I sewed up and I really enjoyed making them. 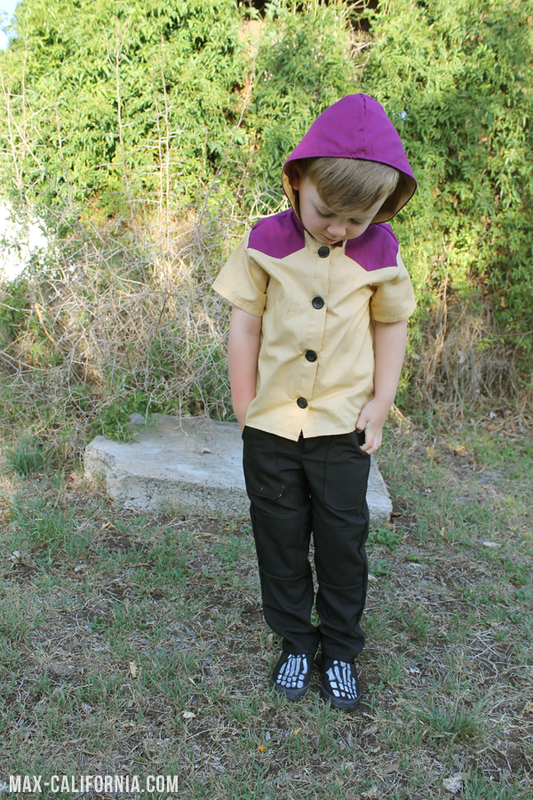 I was hesitant that Vincent wouldn't wear them though, as he is SO fussy when it comes to pants. Before I even made them, I promised him that if he wore them for the photoshoot then he didn't have to wear them again and we would give them to one of his friends (or save them for Eddie!). To my surprise, they came out a comfortable slim fit, and I had high hopes for Vincent's opinion. 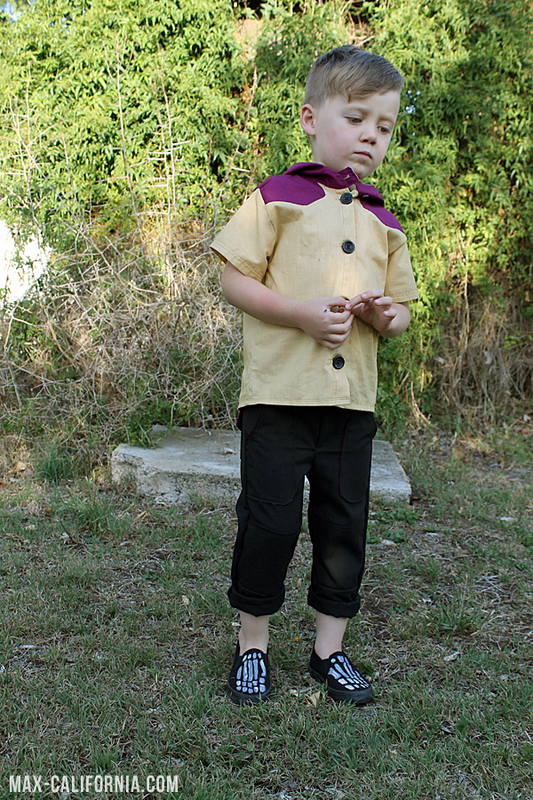 They're absolutely perfect for him.I lined the knees in scraps of batman pyjamas, so he loves the insides too! They are a size 4, and although he is quite slender and leggy, the fit could not be more perfect. The beltloops! OH the beltloops! I don't realy enjoy making beltloops, so tiny and fiddly, but Andrea's method for them and the waistband had me sailing through the loops and deciding that I was going to, in fact, belt loop all the things. 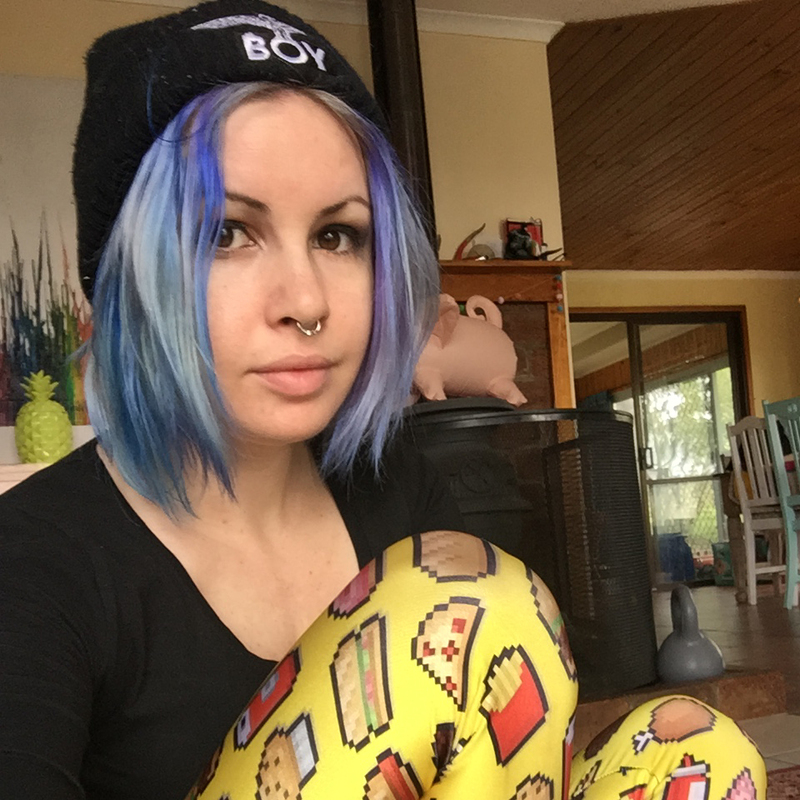 There are so many customisation options for these pants, and I am excited to sew them up again as shorts, *real* ankle-skimmers, and with various knee features and waistbands. 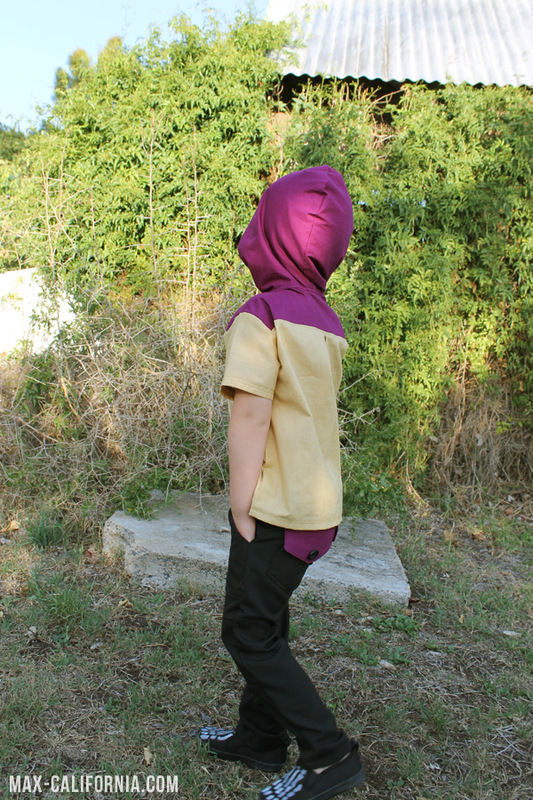 I decided that the plum and mustard fabrics would be the main fabrics for the shirts. 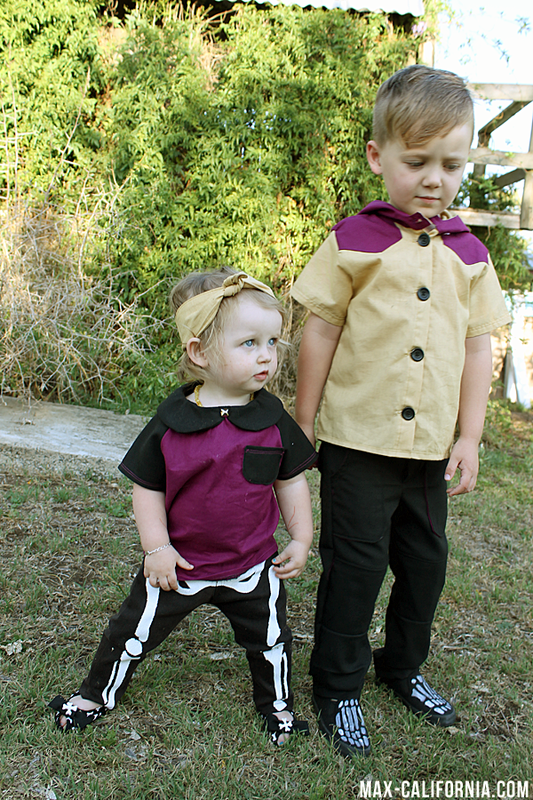 I brought them together by using plum in Vincent's shirt to go with Edison's, and added the contrast shoulder patches (and hood) on his shirt to go with the contrast sleeves (and collar) on hers. 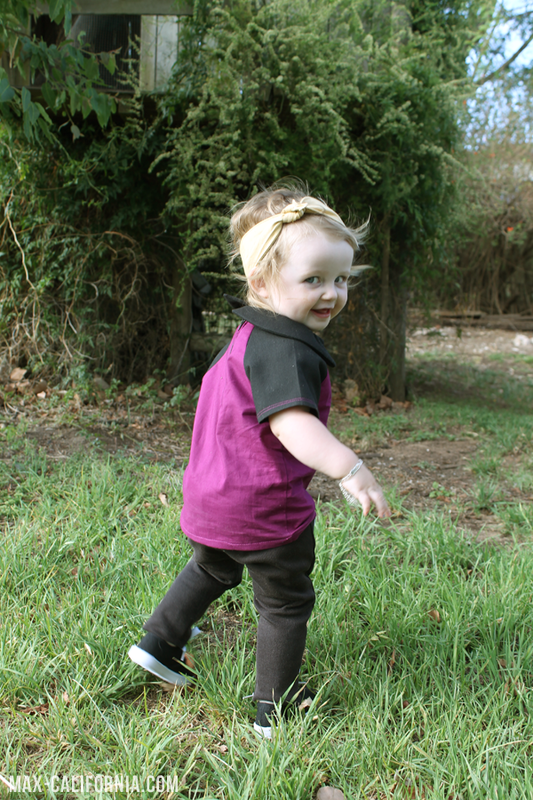 Edison's shirt is the Sweet Bonnie top, designed by Shwin Designs. I was able to test this pattern before the tour (which I will show you in a few weeks!) and I just L O V E D it. 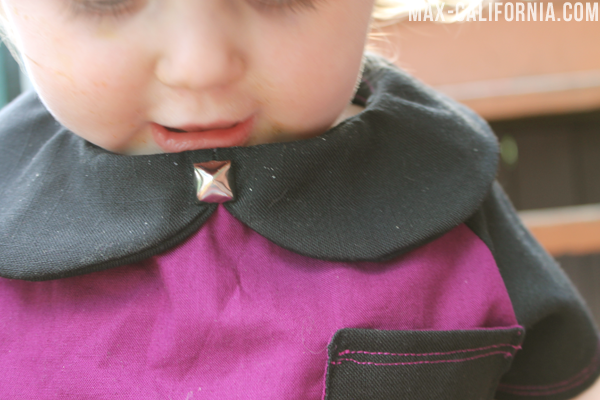 The Peterpan collar is always a big YES in my non-existant book of sewing for Eddie. I love exposed zippers, so the zip down the back as well as the raglan sleeves kept checking all those boxes. It's a very straightforward pattern to sew, and I love the way Shauna teaches me new ways of sewing things that I would never have thought of - the facing was constructed in a really clever way! I sewed up the short-sleeved version for my little babe, as I don't think we will be getting much use out of long-sleeves for a while down here! 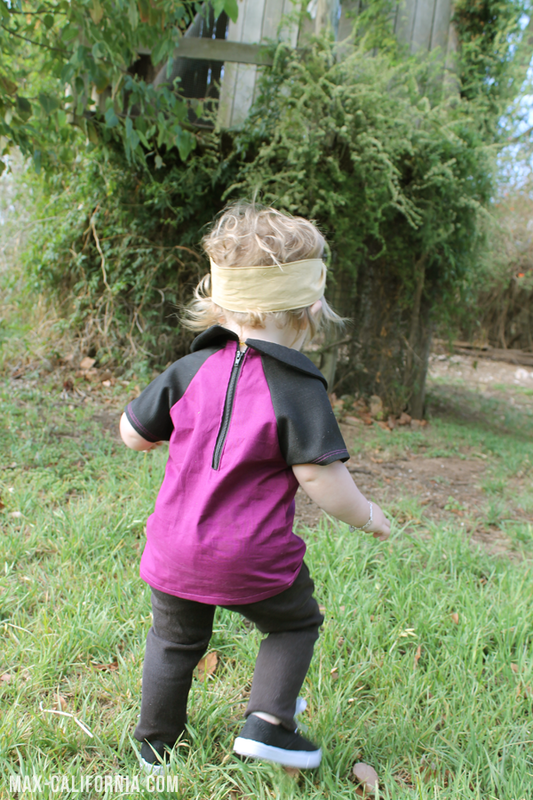 I stitched hers up in the size 12-18month size, and although she is chubby she is a little short for her age, however I do love the length of the shirt on her. I added a random pyramind stud to the centre of her collar, I had intentions of adding some to Vincent's shirt on the shoulders but I thought that there might have been too much going on there. When I changed my mind, I forgot to add them aha. My zipper is longer than the one called for in the pattern, I just made the zipper facing longer which was quite simple! The main reason I used a longer zipper was because it was the only one I had in my stash that went with the fabrics I had chosen! 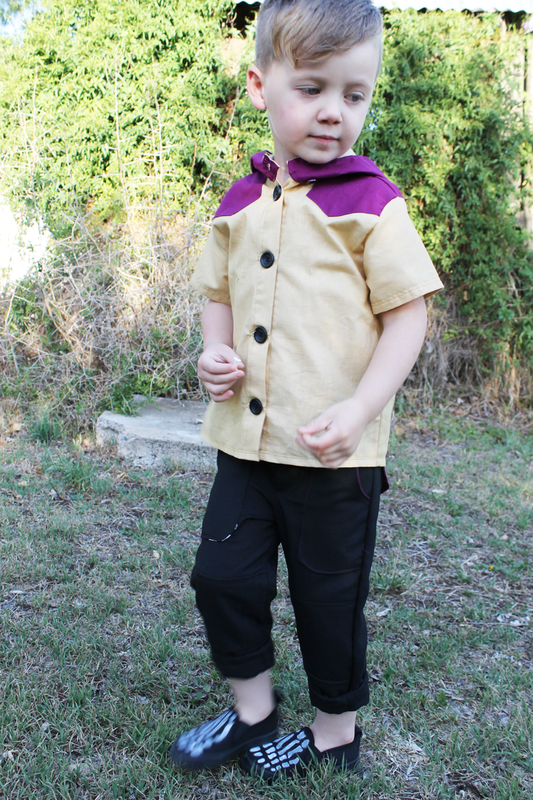 I made her a little bandanna out of the mustard broadcloth to work her outfit in more with Vincent's. 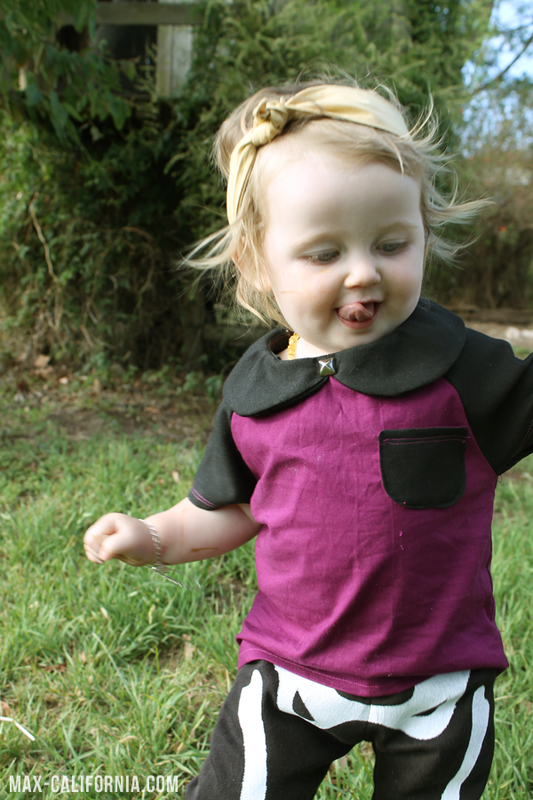 Don't you think the Sweet Bonnie top would look super cute as a dress? 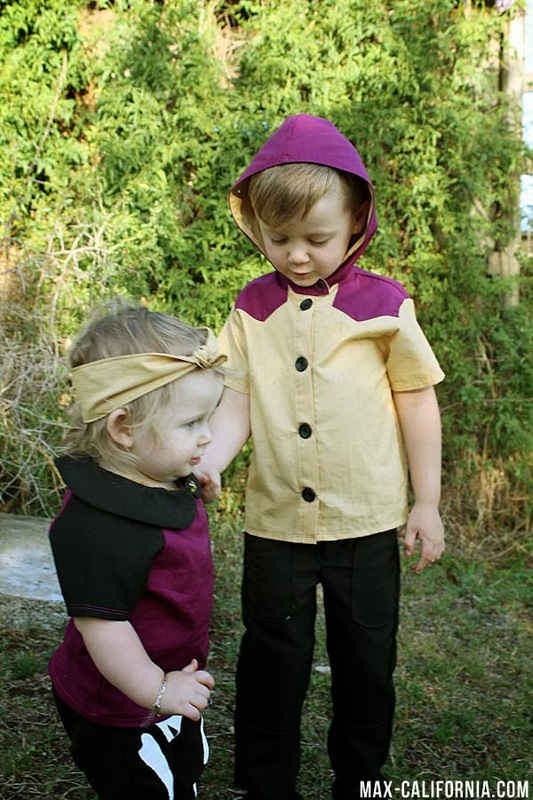 I made the shirt up in the mustard broadcloth, using the plum as contrast for the shoulder patches and the outside of the hood. This shirt has a really cool rockabilly vibe to it, which is something I used ot be pretty obsessed with, so it's a nice little throwback to my early twenties life with Tim! 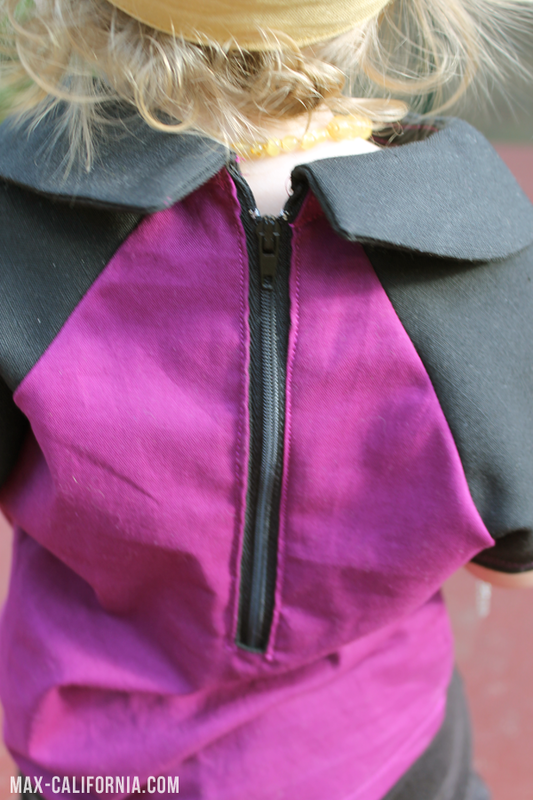 I also did the back yoke in the plum as well! 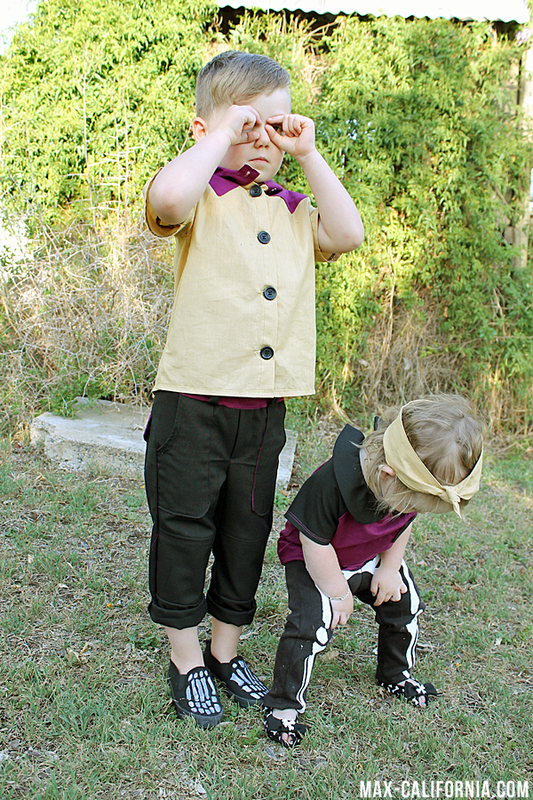 Come back in the next few days for a tutorial on Eddie's bandanna and Vincent's shoes! LOVE IT!!!! So cute - and I love that we are on the same page with coordinating and not MATCHING ;o) Your color scheme is so perfect! super cute! I love your color combos and how you took those patters and totally made them yours! Awesome. As always, you rock! Your outfits turned out so great! I love the colors you chose! Each piece looks so good together but will look good separately. Great job! Definitely a rockabilly vibe! Love them, thanks for being on the tour. 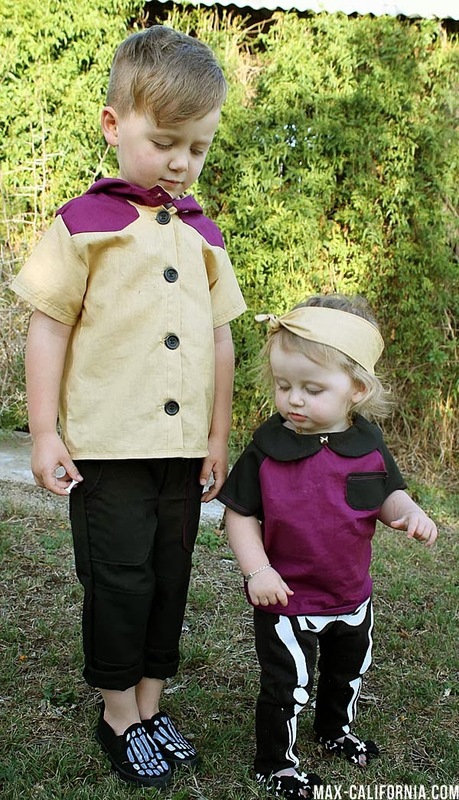 I love your process for choosing and creating sibling outfits! I'm not a match-matchy kind of girl either (although my girls are close in age), so your thoughts on coordination are right up my alley! Total cuteness! I love that they coordinate without being matchy matchy and both looks are so cute! You totally nailed it! Oh man! You ALWAYS blow me away with your sewing skills. I love the color combo too. awesome awesome job. SO cute!! I love your style. 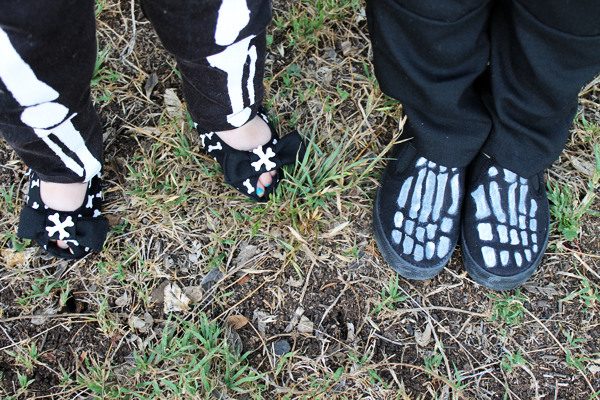 Those skeleton pants are awesome =) Thanks for sharing! A. you have the most adorable kids. B. you sew like a badass.